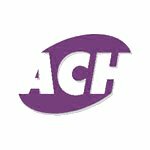 ACH Checking Service is a payment service that allows online and traditional merchants to accept and process electronic check payments -- either directly from their website storefront or through the QuickCommerce Virtual Terminal. ACH Checking Service makes it easy for online businesses to add an electronic check payment option to their Website. Customers who wish to pay for a purchase with an electronic check can simply select the electronic check option and enter the requested bank account information. ACH Checking Service encrypts the data using SSL 3.0 encryption technology and transmits it to the secure server for posting. Transactions are automatically settled each day. Then the system debits the consumer's account via the Automated Clearing House (ACH)* and transfers the funds to the merchant's account. If the account numbers are entered incorrectly or the account has insufficient funds, the ACH Checking Service system notifies the merchant. Traditional merchants without commerce-enabled Web sites can also use ACH Checking Service to handle periodic billings. Businesses such as health clubs, tanning salons, subscription services, ISP's, membership companies, and health care practitioners are typical examples of businesses that need the ability to periodically deduct funds from their customer's checking accounts. Of course, customer approval is always recommended, and merchants must sign a separate ACH Checking Service agreement to perform these types of transactions.
" Features and Benefits "
These services are available 24 hours a day, 7 days a week real-time without ever needing to speak to customers. No Credit Turn Downs: Regardless of previous credit history. 100% Financed: No large out-of-pocket initial investment. Fast Turnaround: Electronic check funds are transferred into your account within 48 hours. Access and process transactions anywhere around the globe where you have Internet access. User friendly, easy to use program. Solution for automated processing of Internet merchants. ACH/Electronic checks feature - transfer funds directly to merchant's bank account. Handles recurring monthly payments from check accounts. SSL security best on the Internet today). Reporting capabilities accessible via the Internet. Encourages impulse buying on the Internet. Converts your web site from an electronic brochure to a commerce-enabled virtual storefront. erchants credit card processing order form can be setup to have the same look and feel as their e-commerce site. *The Automated Clearing House is the electronic network which transfers and clears funds between banking institutions on behalf of merchants and their customers. Each transaction takes approximately 48 hours to clear, and we strongly suggest that merchants wait five days from the initial transaction date before shipping any goods. This leaves two days to debit the consumer's account, two days to deposit the funds into the merchant's account, and one day for the bank to post the transaction. Because of this unavoidable delay, ACH Checking Service should not be used by merchants who sell soft or digital goods that are normally downloaded immediately upon completion of the sale. APPLY FOR A QUICK MERCHANT ACCOUNT TODAY!